To most Manhattanites, Staten Island may as well be New Jersey (geographers and Staten Islanders feel the same way). Once you step off the ferry at St. George Terminal, you’re in a different world: a revolutionary war fort, mile after mile of low-rise garden apartments, Victorian frame houses on winding streets, and wooded hillsides studded with stone and brick mansions. New Yorkers who view Staten Island only from the S.I. 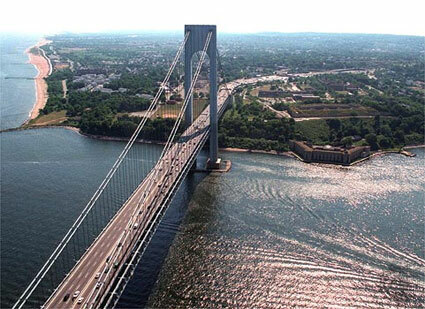 Expressway and the West Shore Expressway don’t see the island’s vast industrial tracts on one shore, its beautiful public beach on another, the endless strip mall that is Hylan Boulevard, and the island’s golf courses, forests, and pre-Verrazano enclaves, which still hint at their rural origins. It just ain’t the same city as high-rise Manhattan.